This cemetery contains 285 First World War burials. 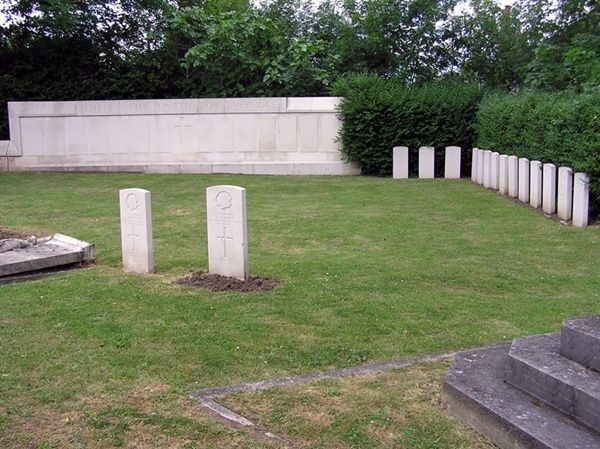 The war graves plot is in the north-east corner of the cemetery and contains two screen walls. One commemorates almost 160 casualties buried in the plot, the other bears the names of those buried in the remaining war graves scattered throughout the cemetery that could not be individually marked. The war graves plot also contains a group of special memorials to the 14 casualties of the Second World War buried in the cemetery. J/31736 Able Seaman Albert Edward McKenzie, V. C.
H. M. S. Vindictive, Royal Navy, died 3rd November 1918, aged 20. Plot 85. 25538. Son of Alexander and Eliza McKenzie, of 1, Shorncliffe Rd., Old Kent Rd., London. Born at Bermondsey. Citation: An extract from "The London Gazette," No. 30807, dated 19th July, 1918, record the following:- "For most conspicuous gallantry. This rating belonged to B Company of seaman storming party. On the night of the operation he landed on the mole with his machine-gun in the face of great difficulties, and did very good work, using his gun to the utmost advantage. He advanced down the mole with Lieut. Comdr. Harrison, who with most of his party was killed, and accounted for several of the enemy running from a shelter to a destroyer alongside the mole. This very gallant seaman was severely wounded whilst working his gun in an exposed position." Able Seaman McKenzie was selected by the men of the 'Vindictive,' 'Iris II.' 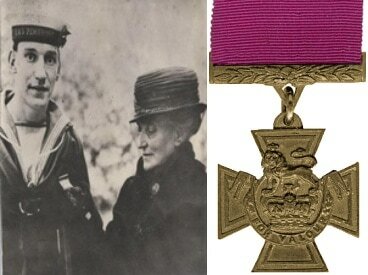 and 'Daffodil,' and of the naval assaulting force to receive the Victoria Cross under Rule 13 of the Royal Warrant dated the 29th January, 1856.